It looks like three cameras aren’t enough for Samsung, as leaks suggest that the South Korean giant is planning to come up with five cameras in its next flagship Galaxy S10 Plus early next year. As per the latest information leaked by the South Korean publication The Bell, the Galaxy S10 Plus (codenamed ‘Beyond 2’) is expected to make its debut next year, which will boast of five cameras in total. The report claims the smartphone could feature a triple camera setup at the back and dual cameras on the front. The triple lens camera on the back will sport a new 16-megapixel ultra-wide-angle lens with a 120-degree field of view, a 12-megapixel wide-angle sensor, and a 12-megapixel telephoto lens sensor for optical zoom and Portrait Mode photos. In addition, the Samsung Galaxy S10 Plus would have a front-facing camera that will apparently feature a standard camera sensor along with a secondary front-facing shooter for Portrait Mode selfies. 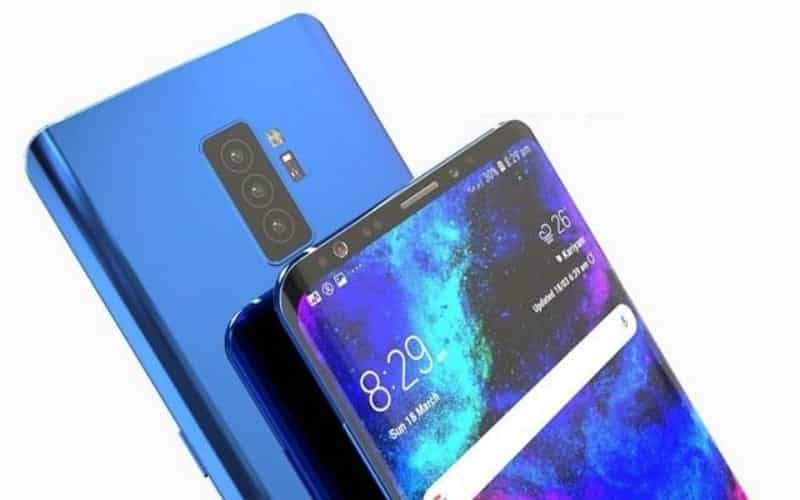 It will also feature infinity display design with smaller bezels and an optical fingerprint sensor embedded underneath the screen. Besides the premium Samsung Galaxy S10 Plus, the report also claims that that there will be another two versions of the smartphone, which is a lower-cost entry-level Galaxy S10 (codenamed ‘Beyond 0’), and regular S10 (codenamed ‘Beyond 1’). The entry-level Galaxy S10 will have two cameras on the back, and one on the front, while the regular S10 will have three rear cameras and one front camera. The other two variants, which is the entry-level Galaxy S10 and regular S10 are also expected to have a side-mounted fingerprint scanner on the device. Samsung’s typically releases its new Galaxy S lineup in late February at the annual Mobile World Congress (MWC) trade show. However, this may get delayed as the company is reportedly planning to debut a third new flagship phone series in Barcelona next year, the foldable Galaxy X line.